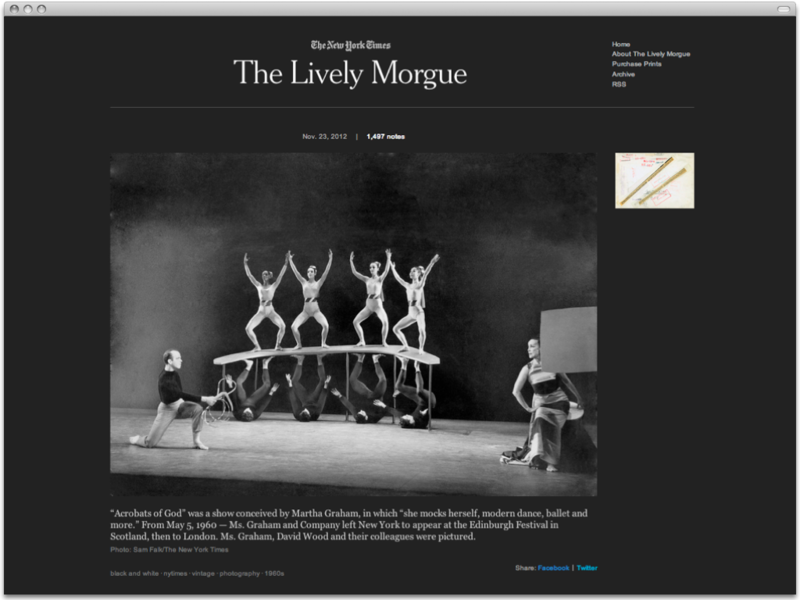 The Lively Morgue, a project that publishes one photograph a day from the New York Times’ massive historical photo archive, began as a secret side-project catalyzed by a Valentine’s Day tweet. I asked Heena Ko, a talented designer and colleague, to collaborate with me on the proposal and she agreed. We set up a meeting with NYT Morgue archivist Jeff Roth and quietly began researching, sketching, and scheming. Through spending time with the collection, we discovered that the backs of the photos were as interesting as the images themselves — they told coded stories about who took the photo, how much they were paid for the image, if and when the photo was published, and who handled the photograph. 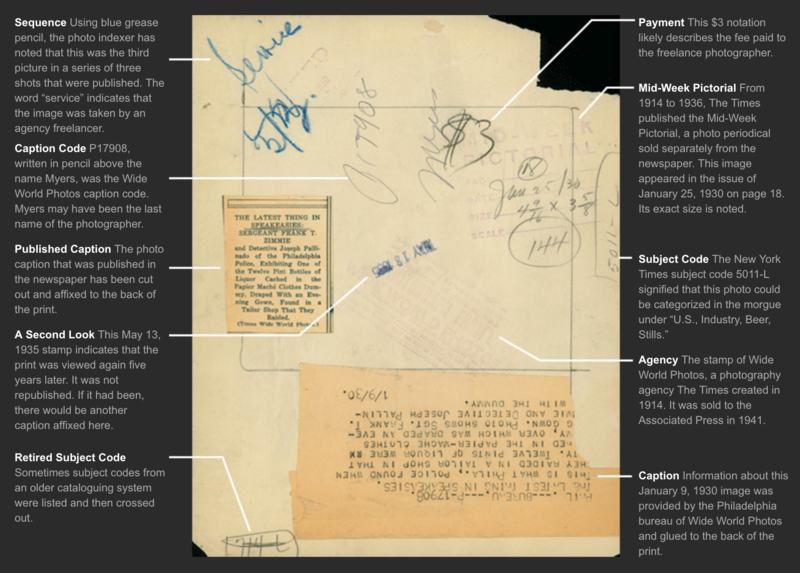 We wanted the physicality of the photos along with the surprise discovery of these coded stories through the colorful marks and notations on the back of each photo, to be central to the digital experience. More on the project here.